While searching for Admin Templates (Backend Dashboard) for a project, I found a Free HTML5 based Simple Website PSD Template over at Medialoot. Its just like WordPress, though with different design. Even the color palette is same. Whatever, this is what I wanted. I found a lot of such PSD Templates over at DeviantArt and other sites too, though since I found this one pretty much interesting and worth showcasing, its kind of bookmark for me. 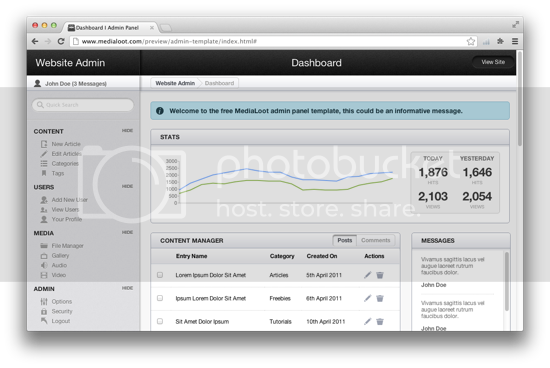 And I must say, this free HTML5 Admin Website PSD Template is pretty well designed. If you are looking for Facebook PSD Template, then you can click on the link. I have gathered up previously collection of Well Designed Photoshop Templates for Facebook. 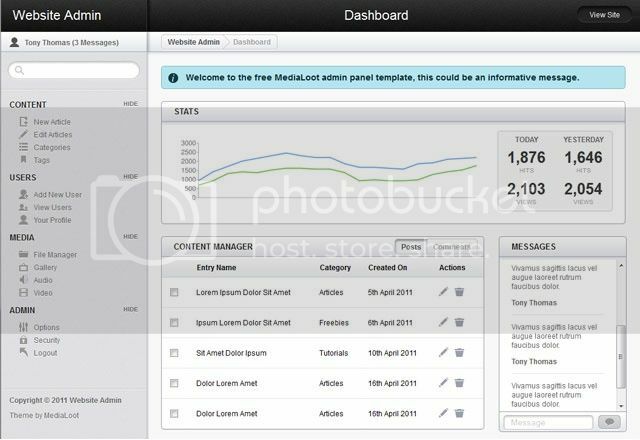 Below are some screenshots of HTML5 based Website Admin which comes alongwith PSD files. This is basically HTML5 plus CSS3 template, but I was looking mainly for the PSD. So, I am showcasing it as a PSD Template here. Also, you can download this template as PSD, HTML with CSS and PNG for sure. 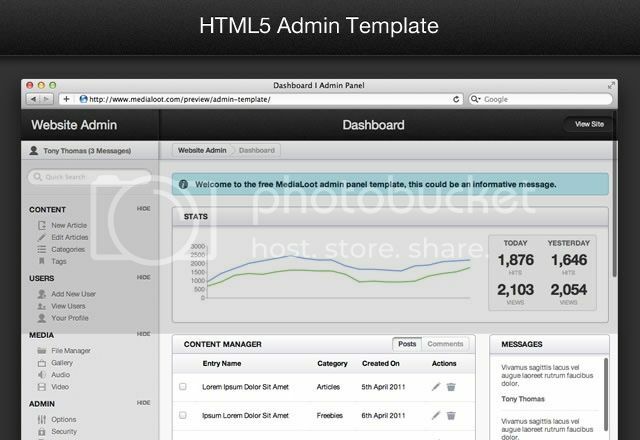 Moreover, not only it looks good, if you are looking for HTML5 Admin Template then this is just perfect. It have easy integration with Google chart API and it has got jQuery Table Sorter too. You can also hide and show up the menus. And the best thing, it is cross-browser compatible. So, don’t need to worry about Internet Explorer and some others. The layout is the same as I wanted and the Dashboard is pretty much like WordPress Dashboard, I think its inspired by WordPress Admin Area. Thanks Rishi. Not many admin style templates around – useful stuff. Yup, this one is the one I found perfect for me. I would like to share this interesting post to some people so that they can earn more money. I really apprecaite the work you have posted.